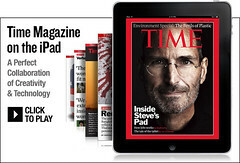 Ad agency acquisitions on the horizon for Time, Inc? For content publishers to be successful, it’s clear they must learn to monetize their content – not just create it. Nowhere is that more evident than with traditional magazine brands like Time, Inc. For them, the key to success seems to be thinking and acting more like ad agencies than publishers. And if they can’t think like an agency on their own, they’ll acquire one instead.